Congrats on your work goal success! I’m sorry to hear about the likelihood they will fail… they had the most liberal policy I could see for a hobbyist like myself. I want to promote my music, my free music, as well as podcast about saving money, smart investments, and so forth — but have settled on Talkshoe, which allows interaction with an audience live — and doesn’t appear to have a price tag. Where would you suggest hosting on little or no money — swithpod? oh, do you think Bittorrent based podcasts will have any return or does Itunes dominate? thx. Lee and Doug may be nice guys but that will never help overcome a bad business model. Free media hosting supported by advertising is a bad business model. It’s not working for anyone. Creating “networks” as Podango attempted to do doesn’t help either. The folks at Podango would have been much better off spending their time building a world class media publishing and delivery system and charging a fee to use the service. I think that anyone in the free media hosting supported by advertising space could be next. That includes Mevio, BlogTalkRadio or TalkShoe. I’ve never met Lee but I was very nearly signed a contract with Podango one year ago today while working with Doug. I personally host my own network of shows at http://gspn.tv and have been able to build a loyal community and listener base. I was told that I’d probably do much better if I would stop doing “so many shows” and instead focus on just one or two so that I could build my audience to the 150,000 listeners range. I was told this is where the money from big sponsors would come in. The one thing that is for sure, I’m extremely passionate about each and every one of these shows. The other thing I’m passionate about is building relationships with those who listen to my shows and helping those listeners connect with other listeners who also share some of these same passions. So the fact that I measured my audience in the 1,000’s and 10’s of thousands kinda didn’t fit the “BIG CORPORATE SPONSOR MODEL.” Because of this, I decided to NOT give up on any of these podcasts to focus on just one or two. In fact, I’ve INCREASED the number of shows that I produce. A few months back, I decided to quit pursuing the advertising/sponsorship model all together. While I still try to get as much exposure as I can to increase the size of the community… My main focus is on those who are ALREADY LISTENING!!! In January of 2008, I quite my full time career as an insurance agent after 11 years to do podcasting FULL TIME!!! Today I work as a podcast consultant and podcast producer full time! While the world is facing the worst economic crisis in my lifetime, I’m seeing my subscription based model work!!! I charge $10 per month for full access to all the content that I produce and those who are signing up to pay for this content is increasing daily. While today, I still have to do a great deal of consulting work and audio equipment sales to make ends meet. However, once I get to 500 people who are paying $10 per month to listen to our content, all our expenses will be covered by podcast content alone. I still say Podcasting is NOT DEAD!!! “Podcasting is dead” you say? Podcasting is definitely not dead. I think that it is really just starting. And with the help of iTunes, Apple TV, and yes…even Microsoft’s ZUNE (which has the word “Podcast” on it’s box) are all laying the groundwork for Podcasting’s growth. Sure, it will change and evolve. Podcasting might even get a new name (although Leo Laporte’s idea of “Netcasts you love” isn’t what I think will come to pass). I feel bad for everyone in the Podango situation. Either way, Podcasting, Social Media, New-Media, is all part of a growing trend that can’t be stopped. Just look what Cliff Ravenscraft has done (see his blog post reply above). Cliff is earning a living doing Podcasting, and New-Media Consulting full-time, on his own terms, as God leads him. He will even be at CES in January, as a guest of Panasonic, as one of their Citizen Journalist representatives! Podcasting is alive and well. Do you think podcasting is dead?! I don’t think that podcasting is dead? Who knows it could only be just beginning? There are many millions of podcasts and podcasters out there. And it’s not just on the internet, there are some podcasts that are often played on the radio. If you would take my show, WinkRadio LIVE it’s been going strong for a good 2 years now! 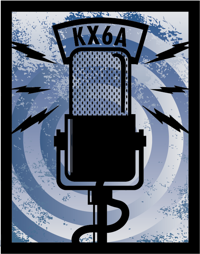 And look at some other great podcasters like Cliff Ravenscraft, Leo Laporte and many others! WinkRadio, TWiT, GSPN, and others are NOT dead. …and Podcasting is NOT DEAD! Let me know your thoughts after listening. Having presented at the last 3 CES’s on podcasting I can appreciate Cliff’s opportunity. Podcasting is definitely NOT dead. It’s just getting started. I own a new media company in Greenville,SC and we are just now getting local companies and organizations excited about using this form of media to market their business, share news and information. One of my biggest selling points to these clients is that it’s a way to spread your message beyond the web. In the world of new media business started off with very basic static web sites, even our local “old media” outlets of TV, Radio and Newspaper has nothing but informational brochure sites but now things are changing. Our local “Newspaper” is sharing audio and video clips online. Radio stations are blogging and providing some of their shows as a podcast that can be place shifted. I am a Plus Member Subscriber of Cliff Ravenscraft who also commented here. As much as local radio and TV has it’s place I felt the chains were removed the day podcasting became and easy and viable alternative. I don’t mind paying at all for Cliff’s additional content. Much of it is like going out to dinner with him and inviting him to my office for a monthly consulting meeting if only to be encouraged as a fellow business owner. I’ve learned things through podcasts I would have never found in old media where producers chose the programing for me. I can for all practical purposes create my own radio station that is a mix of the music I own and podcasts I download. We are just now starting. Maybe in the not too distant future old media networks like ABC will partner with podcasters like Cliff Ravenscraft who produces his Weekly Lost Podcast an extra feature TV views via new digital devices could have access to. Something a lot of podcasters provide you don’t see anywhere else of much not in the old media is community and a better means of listener and viewer feedback. Yes, podcasting or rather any new media created by people other than traditional old media companies is going through it’s growing pains. It’s not dead. It’s just now getting it’s legs and learning how to walk! I’ve listened to your talk. I know that your message “IN THE PRESENTATION” is more optimistic than the title “Podcasting Is Dead.” I totally get that it may be dangerous to define (or limit) yourself by your rss in the same way that radio defines itself by their broadcast towers. I don’t take issue with you personally, just your statement quoted above that stands on it’s own in a blog. You obviously don’t believe that Podcasting as a content distribution method is dead. However, do you see how, if someone who reads that statement on it’s own, they can feel as though you are saying give up on podasting, nobody’s subscribing to content this way any more? Again, I’m not saying this is what you are saying, but many readers are taking it this way. Within a few hours of your posting this entry on your blog, I had a handful of emails from my listeners to give my rebuttal that nobody listens to podcasts anymore. Sure, I’m a “media content producer.” Heck, you could even say that my main business is “community building.” However, one thing is for sure… While I do use YouTube, Facebook Video, Blip.tv, etc for video content, Podcasting (subscribing via rss and automatic delivery of content) is how more than 95% of my community prefers to get my content. In fact, while it takes a TON MORE EFFORT to produce even a five minute audio clips (Produced to look nice of course), my audience tells me time and time again.. things like…. I have hundreds more comments just like these. Like you mention in your session, I do survey my audience often. Early on, I used to perform these surveys to learn stuff about my audience that might be appealing to advertisers… So I could Sell ads to advertisers…. Over time, I learned that my audience didn’t want me to fill my content with advertising… They started listening to podcasting because they were tired of advertising being thrown in their face every which way they turned! I started to learn that these surveys were more valuable when I used them to learn more about my audience…. What they connected with, why they listened to me, what they want more of, what they want less of, what drives them to participate in the conversation.. The community. I’m still learning and growing. I still don’t have a total audience of 150,000 listeners…. However, I have a very strong feeling that I made a great deal more of podcasting this year than I would have if I would have signed with Podango to get sponsors to place ads in our shows. One of the greatest things that has come out of this is that I’ve given up on my addiction to check my stats daily/weekly. I only look at my stats about once a month now. And the amazing thing that those numbers show is that despite the fact that there are more and more new media delivery mechanisms competing for people’s attention, my download numbers and new subscription numbers are on the rise. While we at Rawvoice are sorry to hear about Podango we are ready to assist those podcasters looking for a new hosting service we offer a full range of hosting and publishing services. Rawvoice/Blubrry remain a profitable company with media hostied on a world class content delivery network our podcasters know pidcasting is not dead and in fact we continue to see record growth in content consumption/advertising and overall awareness. Does this mean Gigavox could unveil a “new” software product called, the “dynamic media machine” (which would look ALOT like gigavox show builder lite)? Talk about a NICHE. When gigavox had this system it worked flawlessly (not so much under podango). Why not relaunch it, and make it a paid service (maybe so much per episode as the more episodes you have the more storage and bandwidth you need to update your shows). This is such a great product (I use it on two of my podcasts, and have since it was owned by you). I’d hate to see such an awesome piece of technology fall off the face of the earth. Say it ain’t so Michael. I’ve always thought that selling new media ads under an old media model was a bad idea. But there are podcasts (or new media programs and sites) that are profitable. They achieve this through niche advertising, premium and subscription based content, and alternative media and merchandise sales. I just wanted to take a moment and just clarify that I’m not “upset” in any way. Michael, I had the privilege of meeting you at Podcamp NYC and have listened to several of your audio recordings over the past few years. I respect you and a majority of what you have to say. Just wanted to make sure that was on the record here! Many blessings to you in 2009! Hey Michael, if you want to know how things are going with Mevio (PodShow) all you have to do is ask me. You certainly had no problem asking me to write the forward for your book. I’d expect a ‘consultant’ to be much closer to the new and emerging models in the media industry. There are trends that transcend the delivery mechanisms. Michael, 2005 just called and suggests you move forward and update your powerpoint. Hi Michael. Thanks for providing that audio. I really enjoyed the program, as well as the information and ideas you shared. It doesn’t seem to be related to “Podcasting Is Dead”, although it does go well with the “Podango – Bankruptcy Looming” heading. 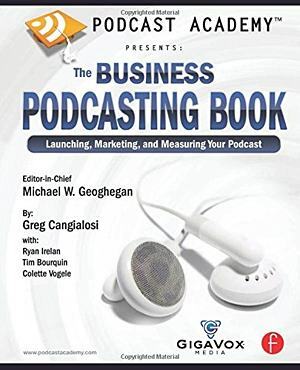 When I founded BlogTalkRadio in September 2006, I never set out for BTR to become a “podcasting” company. We set out to create a platform that would 1) enable anyone to create a live streamed event which was recorded and subscribable and 2) all that was necessary was a phone and internet connection. Since we launched http://www.blogtalkradio.com we have broadcast more than 200,000 segments hosted by tens of thousands of individuals, companies, etc. Guests on our network have included Brad Pitt, Yoko, Ono, Hilary, Obama, Mccain (three times) and many more notables. Our traffic in terms of site visits, shows produced, and downloads are at all time highs in December 2008. The question is why? Shortly after visiting the Podcast Expo in Ontario in 9/06, I was a novice in the podcasting space. My background is in telecom and our technology integrated the web with phones resulting in our innovative platform and broadcast medium. I walked the aisles seeing tons of fancy mixers, editing gear, etc and wondered where were the dollars the purchase of this expensive gear. Not much has changed in the last 2 1/2 years in this regard. In July 2008, we successfully completed a series A financing and in 2008 we launched our Branded Private Network service that is used by the Pentagon, Sun Microsystems, Harper Collins, Hachette Book Group, Womans Day Magazine and more. The idea is to empower everyone to easily create content and find as many outlets to distribute this content. We are “long” this space and will continue to invest and build. Hey, it looks like everybody who’s anybody is jumping into this discussion. As founder of TalkShoe, and as a 25-year tech / start-up veteran, I have often seen what I call the “perception pendulum” swinging around new technologies. In the beginning, they’re over-hyped and perception exceeds reality. Later, when the hype is not fulfilled, the technology is declared dead and perception lags reality. Later, the pendulum swings back and … well, you get the idea. I echo Alan Levy’s thoughts and add this: Companies like BlogTalkRadio, TalkShoe, and others are fulfilling a fundamental human desire. They allow us to connect (in actuality, or in concept as we “just” listen) with real people who share our interests. This is an incredibly compelling experience. Indeed, the average caller to a show on TalkShoe now remains connected for 63.5 minutes. This year, on TalkShoe callers have spent almost 15 million minutes on their phones and another 25 million minutes in chats — listening and texting. Here’s my belief: Wherever the audience goes, advertisers will ultimately follow. It may not happen in the first 6 months, or 12 months, or even 24 months, but it will happen. Smart entrepreneurs will make sure that they have the staying power to be there when it does, by spending money wisely and by developing multiple revenue streams to support their businesses. No worries, your comments are always welcome. You are an expert in the space and your insights are always valuable. Fair enough. I’ve heard little about Mevio since getting calls when you let many of the original “Founder” podcasters go (or at least did not renew their contracts) last August. I think it is fair to say that podcasting did not work out like any of us predicted back when it was just a small community. Obviously you are well capitalized and I expect only the best from you. Take a closer look at what Blubrry and Mevio are really doing. It is EXACTLY the model I started testing with Senseo 4 years ago. 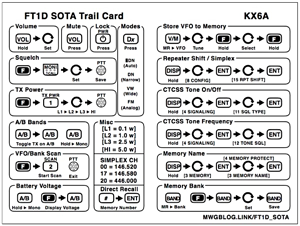 Obviously we have fine tuned the model based on knowlegde from QVC and MTV, but the basics are the same. There are no investors that would step up 3 times (as they have) to capitalize any company, but particularly one in the consumer space, unless there is a proven model that only needs to grow to scale. Michael, the “podcasting is dead” line is getting old. Truth is, some folks have figured out how to make a living and add value to folks via podcasting. . .and some have not. But continuing the “podcasting is dead” thread is not helpful to *anybody*. What do you care if somebody calls their audio/video-based web content a podcast? If you don’t believe, that’s fine — move on to whatever it is you’re interested in nowadays. But bragging that you were “dead on” simply makes you look like your dancing on somebody’s grave (somebody who paid you for your technology, by the way) instead of doing what somebody in your position should be doing — leading people to good ideas without the need to poormouth another idea/concept. 2005… 2009… Ok, so it is a few years later. We are still in just the beginning phases of the podcasting/new media “industry.” Am I optimistic? I suppose… I have shows at Mevio, Personal Life Media, and my corp. I had shows at at Libsyn and Podango. I used Gigavox Lite/ PodangoShowBuilderLite since the beginning and would be willing to pay for that service again. I’m sad to see Podango fade away. It isn’t the first, nor the last. We are all trying to find our way. The laser was a solution looking for a problem. It took years. Podcasting is the same way. It is a solution. Some of use realize that. We can even name several problems it can solve. So, then, it is just a matter of timing. O.k. Mark me as very optimistic. I started dipping into the pool of podcasting back in 2006, and I really didn’t know what to expect. I’m probably ill-equipped to comment on this topic, but I did listen to Michael’s interview on Podcast Answer Man #90. I’ll probably listen to it again because there was a LOAD of information. When I started, I simply thought about all those fake radio shows my cousin and I did with a dual-cassette recorder back in the early Nineties. Now, I’m looking at following the Scott Sigler model for podcasting. I want to be an author, and I see building an audience through podcasting as the best way for me to go forward. I’m not looking at turning my “New Media” or “Digital Content” creation into a business. When I earn my living, I want to be selling novels. 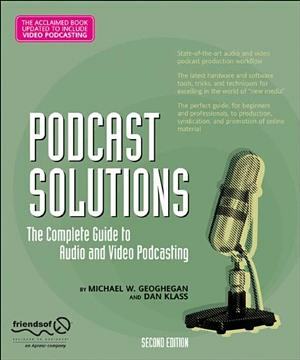 I think I can see Michael’s point, in that if you define yourself as “I am a Podcaster,” you are narrowing your scope. There is an inherent contradiction, though, as Podcasting was defined by its opposition to broadcasting with the “narrowcasting” concept. Now you almost have to reverse field and broaden people’s perception of you. For me, I am not defined as a “Podcaster.” Yes I am a Podcaster, but I wouldn’t put it on a business card. I would put author or writer or what have you. Authors have been around for ages. Podcasters only for about five years. I guess I think that the energy we devote to figuring out how to define ourselves only takes away from putting that energy toward doing the work.